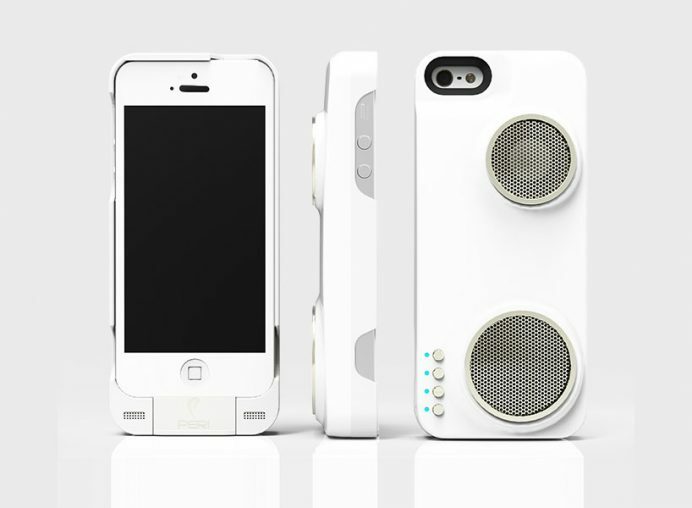 Is it unimaginable for an iPhone case to have a high-definition speaker and a powerful 2,500 mAh battery ‘integrated’ into the design? Not really. 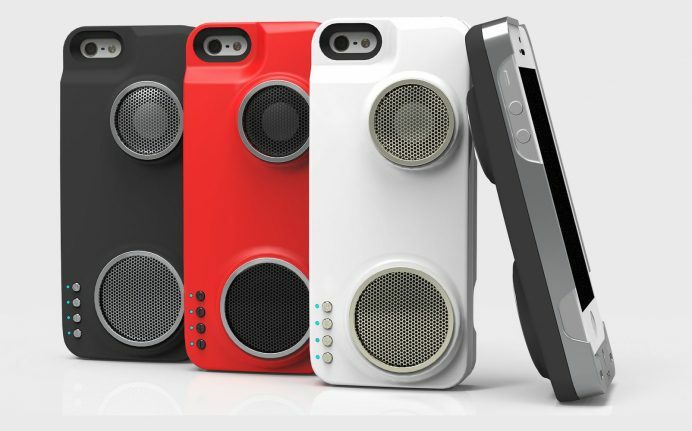 The ‘Peri Duo’ smartphone case has not just made that possible, but also totally rocked it. The sleek ‘Peri Duo’ (good for professional and personal use alike) doesn’t just create an impressively loud and enjoyable audio experience, but also offers more than a full charge to the phone. 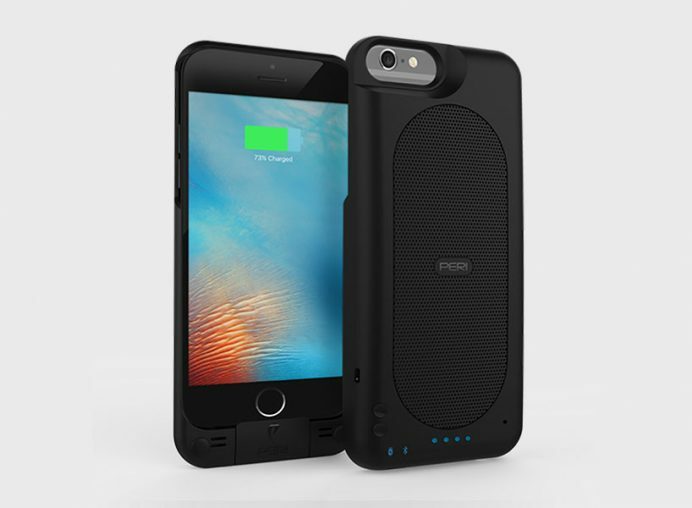 The case showcases multiple functionalities – it serves as a stylish encasement for iPhones, works as a separate Wi-Fi or Bluetooth portable speaker, allows hearing music while on the go, and also provides added charge. The powerful 2,500 mAh battery offers extra 130 to 160% battery, meaning continuous playback of around 4 to 6 hours or 12 to 17 hours of talk time. The overall audio experience offered by the case is something to watch out for. Expect a brilliant audio experience from the Peri Duo’s integrated hi-resolution DAC and entirely programmable single-chip audio digital signal processor. You also get true equalization settings, thanks to the embedded DSP firmware with the supplementary Peri audio app. A tailored audio experience can be created through configuration to multicast music with multiple Peri ‘duo’ cases, via peer-to-peer Wi-Fi. Further, the case comes with an embedded microphone that provides unmatched clarity and absolute voice crispness even during conference calls. 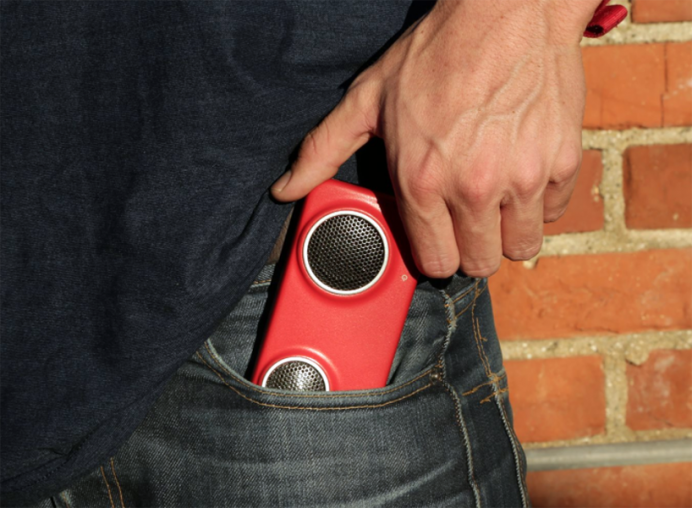 The Peri Duo is currently available in three regular color combinations – Black/Silver, White/Gold, and Red/Black. In addition, there is a special edition Black/Black, made available via Rhymesayers Entertainment. While this case is particularly made for the iPhone 5, 5s, 6 and 6 plus models, the new ‘Duo-Slim’ for iPhone 7 models has been developed as well, and at the moment is seeking funding via its Kickstarter campaign.